Below you fill find all funeral homes and cemeteries in or near Eureka. Suburbs of Eureka: Byrnes Mill, Crescent, Hoene Spring, House Springs, Times Beach, Wildwood. Eureka is also known as: St. Louis County / Eureka city. Zip codes in the city: 63025. Some of the notable people born here have been: Cam Janssen (ice hockey player). 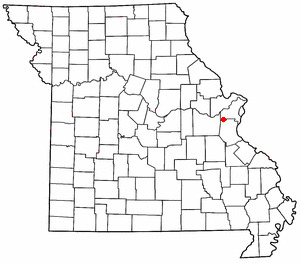 Eureka is a city located in St. Louis County, Missouri, United States between the cities of St. Louis and Pacific along Interstate 44. As of the 2010 census, the city had a population of 10,189. 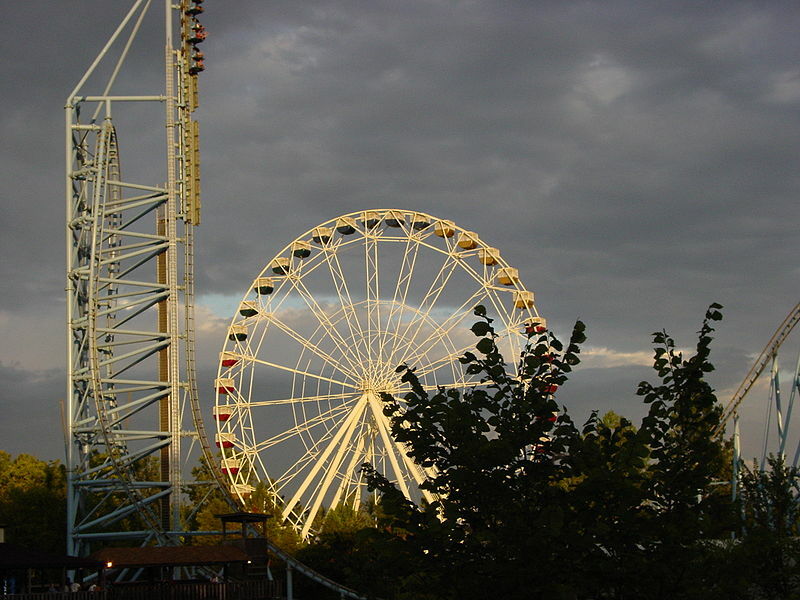 Since 1971, Eureka has been known as the home of the amusement park Six Flags St. Louis (formerly Six Flags Over Mid-America). Local news coverage for the town and some of its neighbors is provided by the Tri County Journal, the Eureka Pacific Current NewsMagazine, and the Washington Missourian. The city is 2 miles (3 km) west of the former Times Beach, the site of dioxin contamination in the 1980s; the area was depopulated, cleaned up, and reopened as Route 66 State Park. It was written on December 12th, 2018 that Dorothy Jean Edwards (Holmes) passed away in Eureka, Missouri. Ms. Edwards was 79 years old and was born in Washington, IL. Send flowers to express your sorrow and honor Dorothy Jean's life. It was reported by Hutchinson News on June 9th, 2018 that John R "Johnny" Phillips passed on in Wichita, Kansas. Phillips was 62 years old and was born in Eureka, MO. Send flowers to express your sorrow and honor John R "Johnny"'s life. It was reported by Topeka Capital-Journal on September 7th, 2017 that June Anemone Markell (Brundege) passed on in Oskaloosa, Kansas. Ms. Markell was 97 years old and was born in Eureka, MO. Send flowers to express your sympathy and honor June Anemone's life. It was noted by Bell Banner on February 1st, 2017 that Robert Walter Moser passed on in Eureka, Missouri. Moser was 89 years old. Send flowers to share your condolences and honor Robert Walter's life. It was written on January 12th, 2017 that Rose Mary Myers (Howard) perished in Meredith, New Hampshire. Ms. Myers was 84 years old and was born in Eureka, MO. Send flowers to share your condolences and honor Rose Mary's life. It was disclosed on June 2nd, 2016 that Otto M Ottiger passed on in Eureka, Missouri. Ottiger was 94 years old. Send flowers to share your condolences and honor Otto M's life. It was noted on June 2nd, 2016 that Otto M Ottiger passed on in Eureka, Missouri. Ottiger was 94 years old. Send flowers to express your sorrow and honor Otto M's life. It was reported on April 10th, 2015 that Harlon Allen Neal passed on in Eureka, Missouri. Neal was 91 years old and was born in Trumann, AR. Send flowers to express your sorrow and honor Harlon Allen's life. It was reported by Peoria Journal Star on August 8th, 2013 that David Lee McGraw died in Emden, Illinois. McGraw was 83 years old and was born in Eureka, MO. Send flowers to express your sympathy and honor David Lee's life. It was reported on February 8th, 2012 that Alice S Huskey (Bal) passed away in Eureka, Missouri. Ms. Huskey was 69 years old. Send flowers to express your sorrow and honor Alice S's life. Louis, Missouri Louis and Pacific, Missouri along Interstate 44. In 1898, Eureka became home to the St. By 1890, the village consisted of about 100 homes. Eureka is a city located in St. As of the United States 2000 Census census, the city had a total population of 7,676. The village of Eureka was platted in 1858 along the route of the Pacific Railroad. Find a Funeral Home inEureka, Missouri MO to provide the caring burial and ceremonial services your family deserves. We work with local florists and flower shops to offer same day delivery. You will find budget sympathy flowers in Eureka here. Our funeral flowers are cheap in price but not in value.